Please note this section involves speculation but is based on a known geologic event. 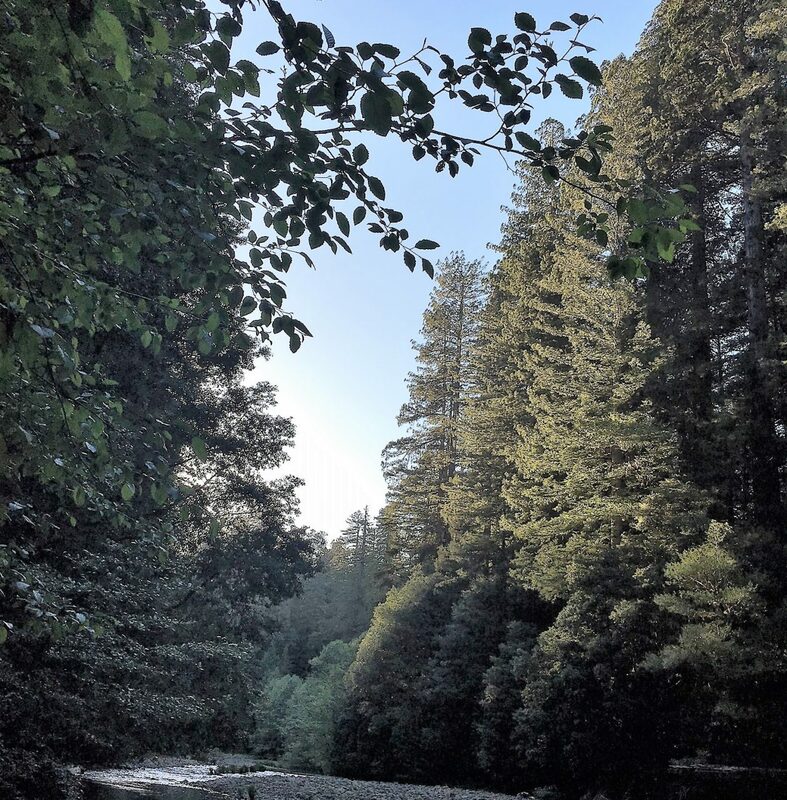 The Bull Creek Giant stands as the king of the redwood forests along Bull Creek in what will become Humboldt Redwoods State Park in northern California. Its top leaves quiver in the evening breeze 390 feet above its 21 foot diameter base. It is nine in the evening, and wispy fingers of fog are starting to flow up the Eel River and into Bull Creek Canyon. The forest is very green and damp from the ample winter rains. 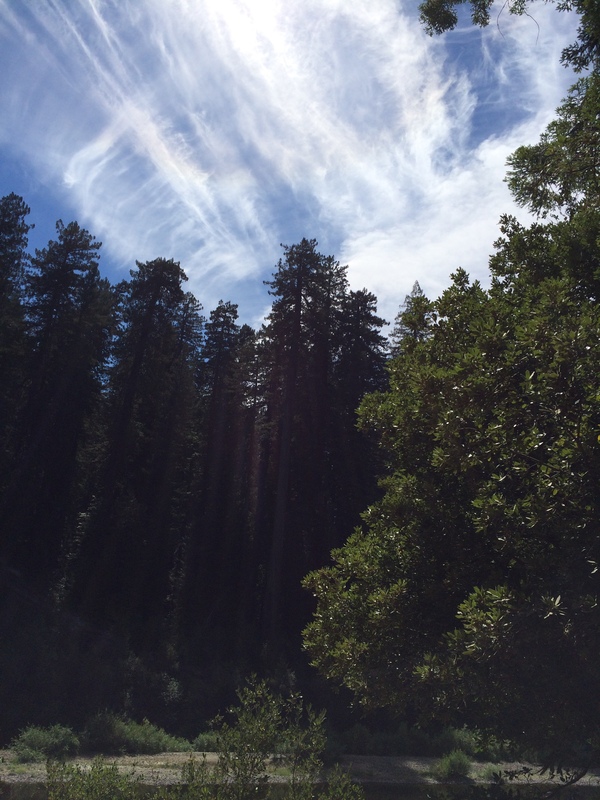 Suddenly a pulse moves through the ground underneath the giant redwood. Then a few seconds later the ground starts to rumble, then shake, then lurch. The shaking continues for one minute….two minutes…..three minutes……four minutes and gets worse and worse minute by minute. The root ball of the giant starts to twist in relation to the axis of the tree. This induces a circular motion at the top of the tree with ever increasing centrifugal force. Suddenly the top sixty feet of the tree snap off and crash to the earth. Now the shaking starts to decrease in intensity and then ends rather quickly. There will be many strong aftershocks during the upcoming hours and days but the main event is over. For the third time in its lifetime the Bull Creek Giant has endured a 9.0 magnitude Cascadia subduction earthquake. This time the redwood did not get off damage free. It is no longer the tallest tree on Earth. Please note this section involves speculation though it is based on oral traditions and a known geologic event. Groups of native, or original, Americans have lived along the Pacific Northwest coast for over ten thousand years. In the oral traditions of these peoples are stories of past giant earthquakes followed by walls of water coming in off the ocean. At 9 PM the inevitable happens and another great quake occurs. The ground shakes violently, knocking people off their feet and caving in walls and roofs. The people who are able to do so act on their oral traditions and immediately start walking to higher ground. The people who are trapped in debris or otherwise unable to move to higher ground are tragically drowned twenty minutes later by a great upheaval of water originating a few hundred miles offshore. 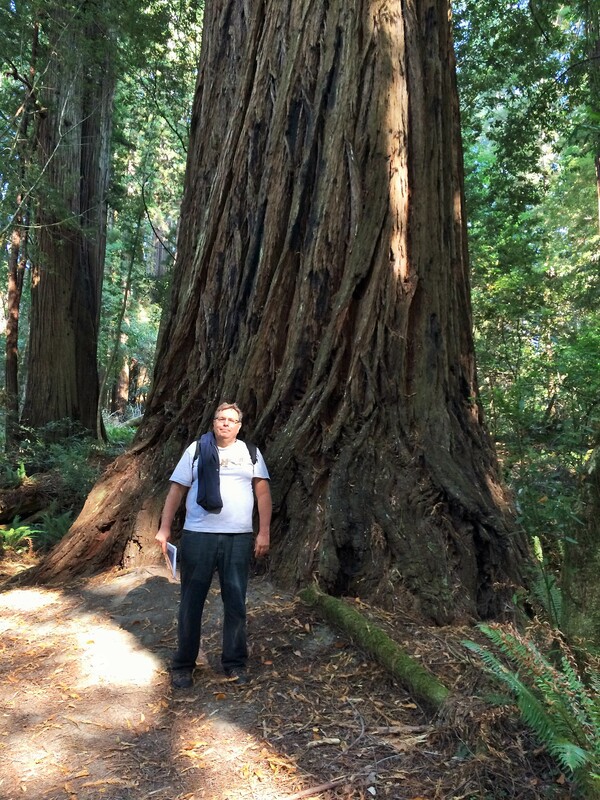 The present day remaining old growth redwood forests are very special. They give us a view into what forests looked like many millions of years ago and are also places of great scenic beauty. These trees are very long lived and well able to withstand a lot of what nature dishes out. Be it forest fires, winter storms with hurricane force winds, flooding rainfalls, and even 9.0 magnitude earthquakes, many redwood trees endure. But many are damaged in some way by these events, and sometimes these trees come crashing down to the ground, the whole entire tree, all at once. Even aged reiterations in crowns: The 9.0 magnitude earthquakes cause tops of trees to whipsaw and snap off. This effect has been documented in the Forest of Nisene Marks at the epicenter of the 1989 Loma Prieta earthquake. Perhaps there are clusters of reiterations in cadence with the timing of the past large earthquakes in 1700 AD, 1310 AD, 810 AD, 400 AD, and 170 BC. Twisted redwoods: The cause of twisting in some trunks is not well understood. Perhaps one influence is the reorientation of the axis of the tree due to twisting of the roots caused by the large intermittent earthquakes. 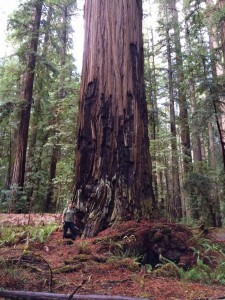 Bends in trunks: Some redwoods have a pronounced bend in the trunk. These could originate with leans induced by rapid subsidence due to earthquakes followed by the trees then growing straight sections. 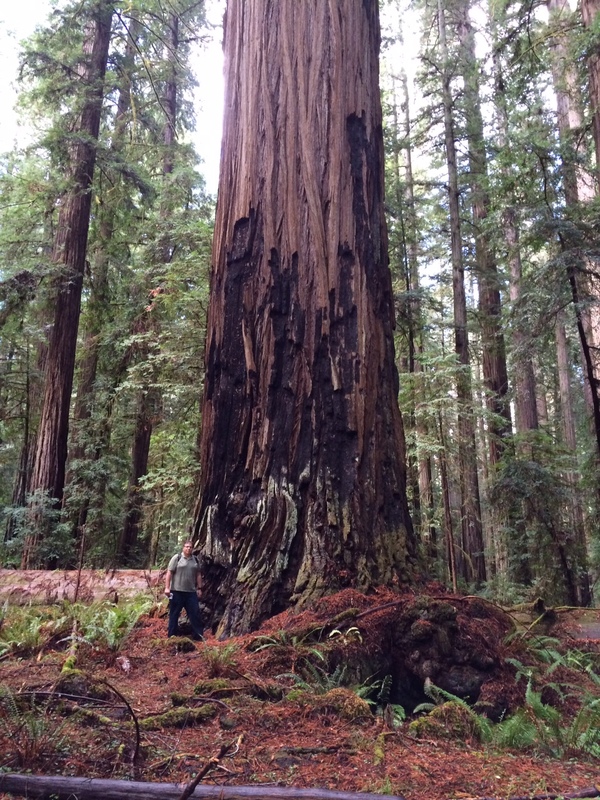 Even aging of downed redwoods: Once redwood trees fall they still persist on the ground for hundreds of years. Core samples can be taken from a sample of downed redwoods and the rings cross dated to the core samples taken from many standing redwoods. In this way the last growth year of the downed redwoods can be determined. I predict the year 1699 will come up much more often than by chance. 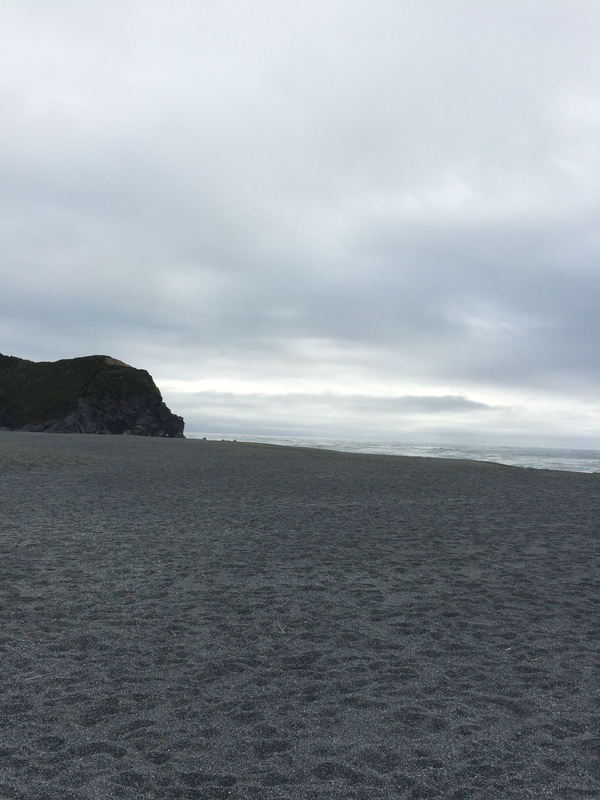 When you drive along Route 101 in and near the towns of Eureka, Arcata, Orick, and Crescent City you will see blue signs with a symbol of a person moving uphill from a large wave. These signs will say “Tsunami Hazard Zone” or “Tsunami Evacuation Route” or “Tsunami Evacuation Site”, or something similar. Should a large earthquake occur while you are along 101 or other low lying areas in or near these towns heed these signs. The people living in these areas are well aware of the risks associated with major earthquakes and know to get to higher ground immediately, most likely by walking as the roads will be damaged and gridlocked. It is very doable as there are many hills and getting to one hundred foot elevation should be safe enough. Then they know to wait there until the all clear, most likely several hours later as there will probably be multiple tsunamis, with the first starting 15 to 30 minutes after the initial earthquake. According to numerous credible websites there is a ten percent chance a major (8.7 to 9.2 magnitude) Cascadia subduction earthquake will occur in the next fifty years. The full threat of these earthquakes was not realized until 2005, and many buildings and infrastructure have earlier construction or remodel dates. For this reason as well as the sheer size of the event the primary impact of Cascadia subduction earthquakes will be damage to buildings and infrastructure. However the tsunami threat to low lying areas is also of great concern. Since 2005 a lot of good work has gone into threat identification and preparation for the inevitable upcoming event. Did any Coastal Redwoods fall or were damaged during Dec.2016 earthquakes.